New Europe - The Vietnamese authorities are accused of an escalating assault on freedom of expression and criminalisation of bloggers and netizens in the country in a new report by the International Federation for Human Rights (FIDH) and the Vietnam Committee on Human Rights. 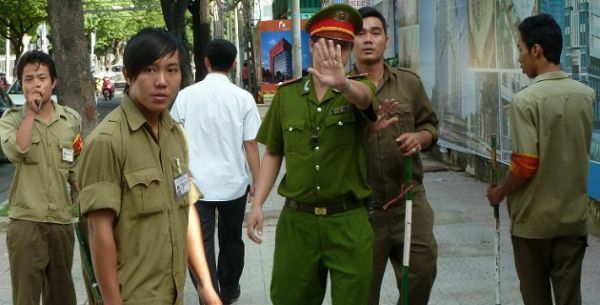 They called on the authorities in Vietnam to halt these abuses. According to the human rights organisations, the Internet is increasingly turning into source of independent news and a platform for civic activism in Vietnam. In addition, bloggers and human rights defenders increasingly resort to the Internet to voice their political opinions, expose corruption, and draw attention to land-grabbing and other official abuses of power. The FIDH has documented over the years a significant number of cases of violations of the right to freedom of expression or opinion in Vietnam, including repression of bloggers. The concerns of the human rights organisation relate, in particular, to arbitrary detention, harassments, assault and intimidation of bloggers, but also the long non-exhaustive list of bloggers behind bars. According to the report, bloggers in Vietnam are a primary target of the government crackdown and their case is just a small part of in a larger, on-going suppression of freedom of expression in the country, both online and offline. One of the main problems the FIDH dragged attention to is the unpredictability and lack of transparency about what topics are forbidden which made it extremely hard for bloggers to protect themselves, as well as perpetuates the culture of fear. Meanwhile, the report highlighted that bloggers in the country are not necessarily dissidents or activists, “but ordinary citizens who are bypassing the official media to seek information or engage in debate that is impossible in the state-controlled press”. In addition, it alarmed that most bloggers and cyber dissidents imprisoned in Vietnam are sentenced under vaguely-worded “national security” provisions in the Vietnamese criminal code. A big majority of them was subjected to a whole range of repressive measures including detention, house arrest, denial of right to due process of law, ill-treatment in prisons, forced shutting down of blogs, and physical assault and intimidation against them and their families. In that respect, the human rights groups urged Vietnam to “immediately and unconditionally” release all bloggers, online journalists, human rights defenders and dissidents detained, as well as put an end to censorship, mass surveillance, and all acts of harassment against all human rights defenders.